Jingdong Group (JD.com) is one of the biggest consumer-focused companies in China. They have more than 300 million active users, and hold around 30% of the B2C market in China. According to a recent report, JD.com is going to launch a new blockchain research lab in conjunction with two leading technology institutes. The new lab plans on exploring real-world applications for blockchain in China. This announcement comes after JD.com decided to open up a smart-cities program that integrates blockchain into a wider City-as-a-Service (CaaS) model. JD’s new blockchain lab will be developed with cooperation from Ying Wu College of Computing at the New Jersey Institute of Technology (NJIT), as well as the Institute of Software at the Chinese Academy of Sciences (ISCAS). The new blockchain development lab will be focused on creating efficiency, and diving into use case scenarios for blockchain technology that can be commercialized. JD.com has already developed a successful consumer-oriented business model, and they may be looking for new ways to boost their presence in e-commerce and finance. Unlike many blockchain start-ups, JD.com has the money to go big. They are working on numerous projects that could impact infrastructure on an international scale, and change the way social structures are organized. For the moment JD.com is largely active in the domestic Chinese economy. This may also be changing, as they offer a Blockchain-as-a-Service (BaaS) platform which they call JD Blockchain Open Platform. Instead of having to build blockchain platforms from the ground up, JD Blockchain Open Platform clients can streamline the development of specialized blockchain solutions, without having to sink massive money into propitiatory R&D. At this point, nearly every major Chinese corporation is developing some kind of blockchain platform. The Chinese government also appears to be highly supportive of blockchain development, which could mean very positive things for JD.com’s smart-cities idea. The breakneck pace of urban development in China has left gaps when it comes to social services. Infrastructure is also a concern, especially given the size of the Chinese population. Digital payments, Artificial Intelligence (AI) and blockchain could all work together to help eliminate many issues that global urban centers face. Blockchain also has the ability to create detailed records that are difficult to change, which fits into Beijing’s preference for a high level of social oversight. Chinese citizens are already embracing platforms like WeChat that create detailed records which can be accessed by the authorities. Blockchain platforms with Internet-of-Things (IoT) data gathering capabilities could boost Beijing’s ability to track their population, which may be why they are so keen to support the technology. Blockchain developers are exploding in China. Over the course of 2018, the number of companies with ‘blockchain’ in their name has grown to be the highest in any country. They overtook the US and UK by a wide margin, and there are billions of development dollars flowing into Chinese blockchain projects. Chinese companies have also been successful in deploying platforms into daily use. Ping-An’s trade finance platform is being considered as a base for a global trade finance platform by the Hong Kong Monetary Authority (HKMA), but it is already being used in mainland China. Despite the fact that the Chinese government did their best to eradicate anything blockchain or crypto last year, the technology has come back with a vengeance. 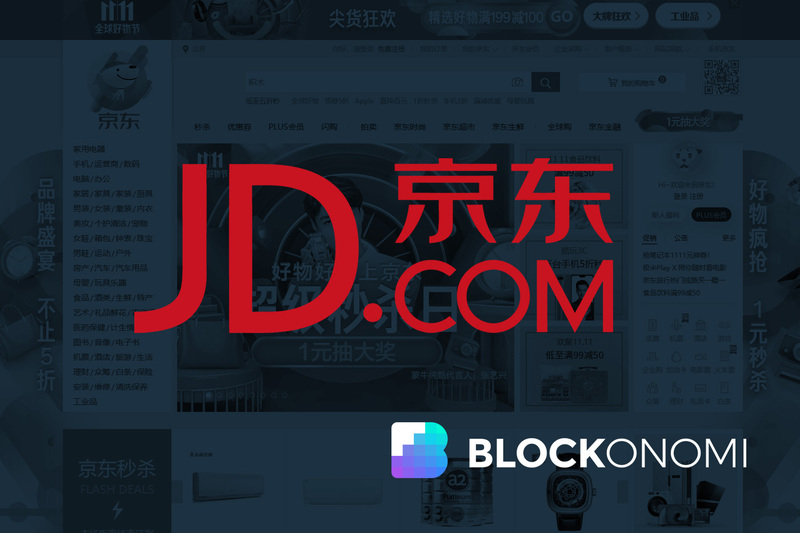 The latest blockchain venture from JD.com shows there is still more pent-up enthusiasm for innovation in China, and that major commercial players aren’t afraid to back a new idea.